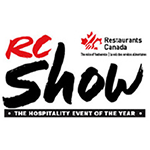 "Canada's Largest Food Service & Hospitality Trade Show"
RC Show is the foodservice and hospitality event of the year, showcasing cutting-edge products, pioneering people and transformative ideas. 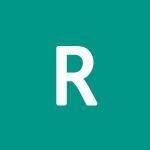 The event focuses on the growing demand and needs to put sustainability at the forefront of business decisions. Good Show. Well Organized. Seemed like a lot of people showing Bread or Pizza though. There was less Protein type products. Most of my customers that went found something new that they want to order. See you next year! The best show in years. SADLY DISAPPOINTED!! Because according to your web site, it was from March 4-6. IT WAS NOT!! We were informed by staff there that the Cfra show was the week end before! So we were out $15 for parking, gas (from Muskoka) and time. VERY DISAPPOINTED!! In CRFA Show, numerous exhibitors will be participating. Manufacturers of Food service & laundry equipment, Furniture, Furnishings & Fixtures, Tableware and catering equipment will be participating in the event. Some of the well-known companies will be participating as exhibitor in the show like Arvinda's Indian Spice Blends, Beck's de-alcoholized beer, David Roberts Food Corp., Davidson Furniture Specialties Ltd and many more.